Experience thrills in wild kingdoms in three African countries – each with distinct ecosystems that are packed with animals. We really raised the bar here. 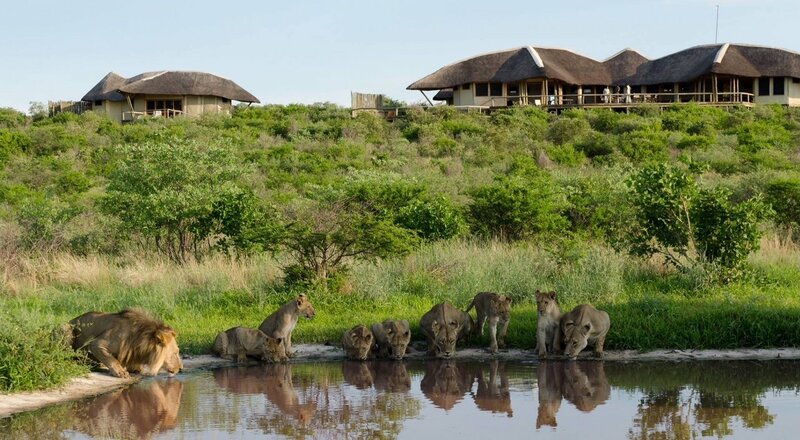 It’s the ultimate wilderness safari that will give you goosebumps! And we’re doing two small groups back to back to provide a more intimate experiences. 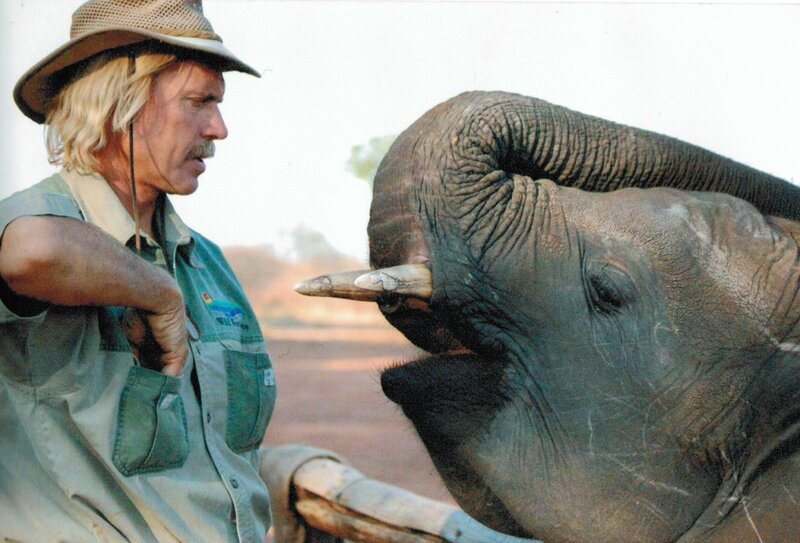 Our grand finale is legendary Chobe Botswana, “Land of the Giants” with the world’s highest concentration of elephants – around 75,000 in Chobe alone (260,000 in Botswana.) 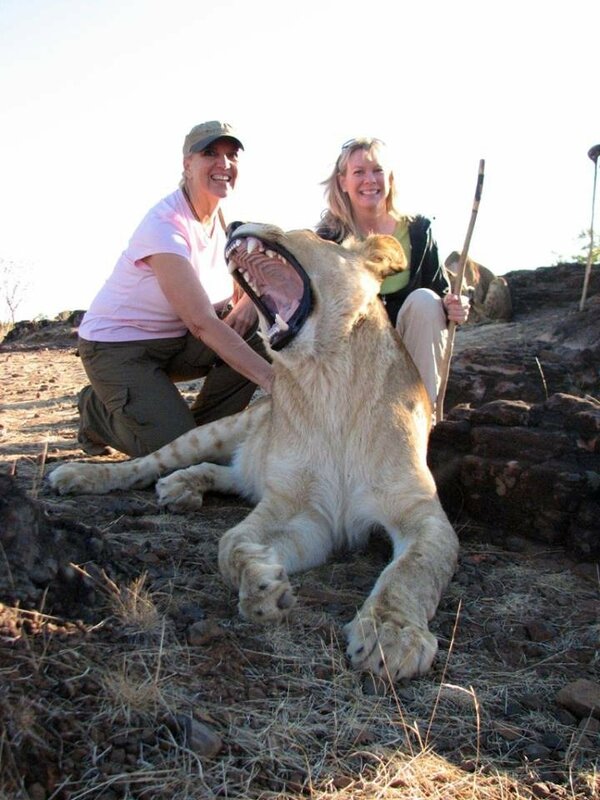 Its Africa’s only country that prohibits trophy hunting. Imagine sipping wine on tranquil boating safaris in waters holding Southern Africa’s greatest number of animals as flocks of fish eagles soar overhead. You can’t count the hippos and Kalahari ellies here. Then, get your cameras ready for a game drive into Big Cat Territory into Chobe National Park as we track leopards, lions, hyena and their prey on the run at Sunset! June is the best month to go here for weather and the dry season that draws abundant animals out of the bush to waterholes. It’s priced ridiculously low and will sell out fast. 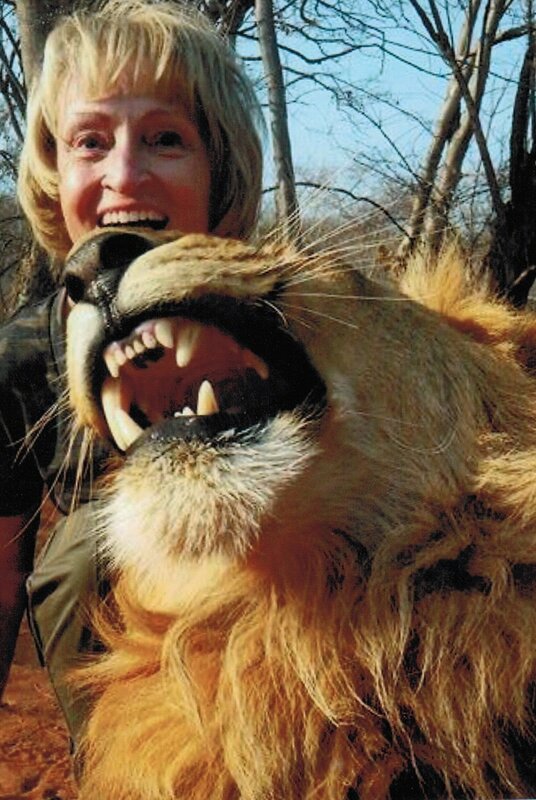 Africa is like potato chips – you just can’t stop after one visit. 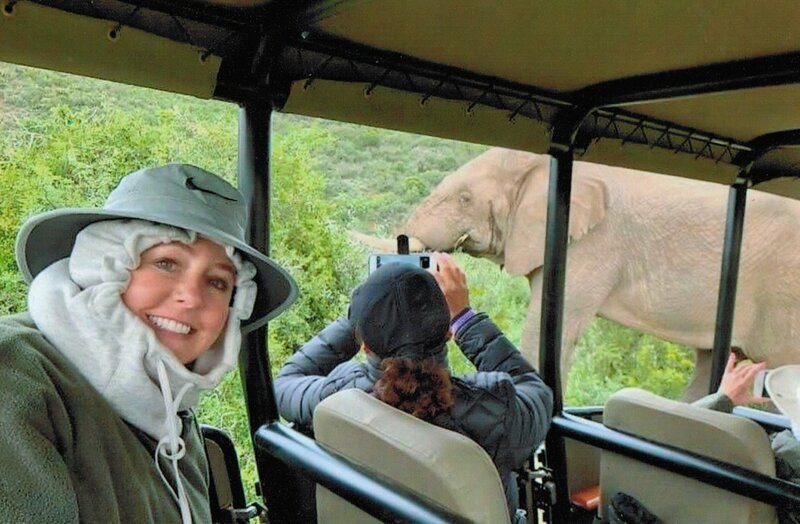 Whether you’re a first-timer or an AFS Afriholic, each day on this vacation will be exhilarating with your best photos and memories of a lifetime. Namibia’s spindly northeastern appendage, the Caprivi Strip (now officially known as Namibia’s Zambezi region, although the name is taking time to catch on…) is typified by expanses of mopane and terminalia broadleaf forest, and punctuated by shonas (fossilised parallel dunes that are the remnants of a drier climate). 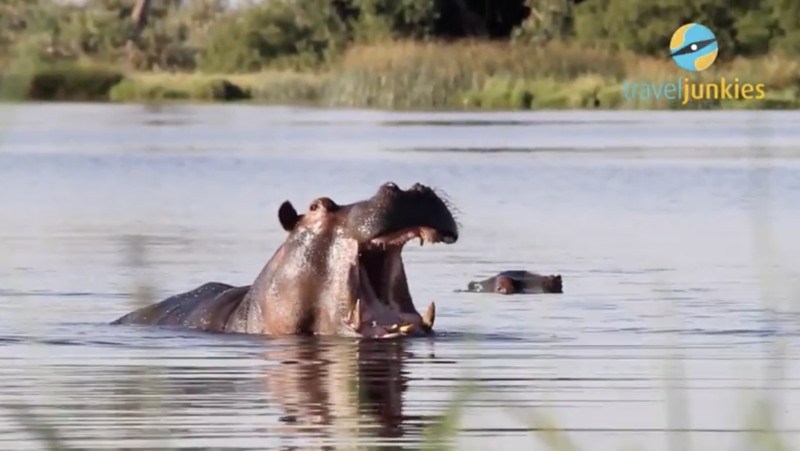 For most travellers, the Caprivi serves as the easiest access route connecting the main body of Namibia with Victoria Falls and Botswana’s Chobe National Park. 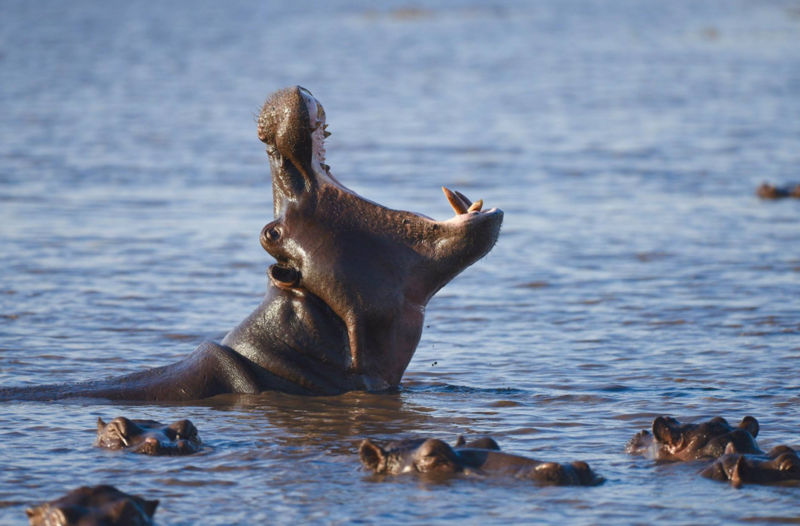 But Caprivi is also one of Southern Africa’s wildlife destinations to watch. 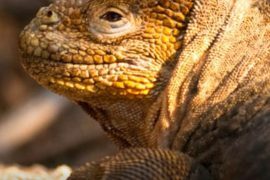 After decades of poaching, the region’s wildlife is returning and visitors with time and patience can get off the beaten path here, exploring such emerging wildlife gems as Nkasa Rupara and Bwabwata National Parks. 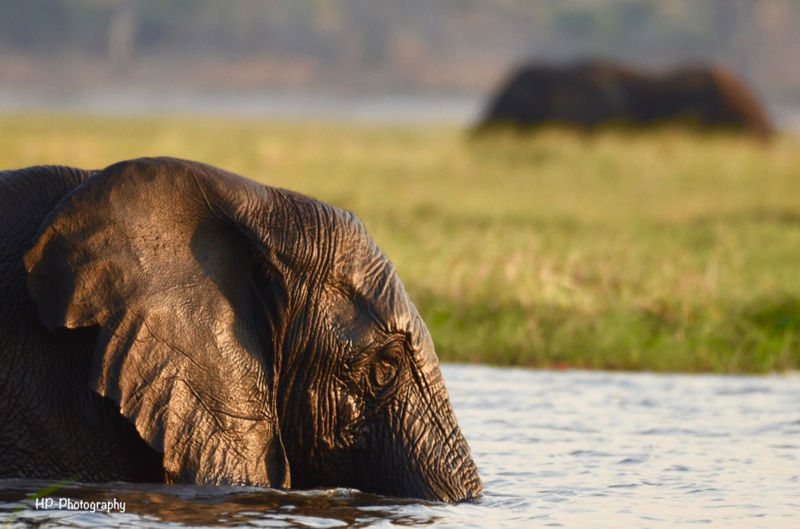 Famed for some of the world’s largest herds of massive elephants, Chobe National Park in Botswana’s far northeastern corner is one of the great wildlife destinations of Africa. In addition to the mighty pachyderms, a full suite of predators and more than 440 recorded bird species. It encompasses three iconic wildlife areas that all carry a whiff of safari legend: Chobe Riverfront, which supports the park’s largest wildlife concentration; the newly accessible and Okavango-like Linyanti Marshes; and the remote and soulful Savuti, with wildlife to rival anywhere. 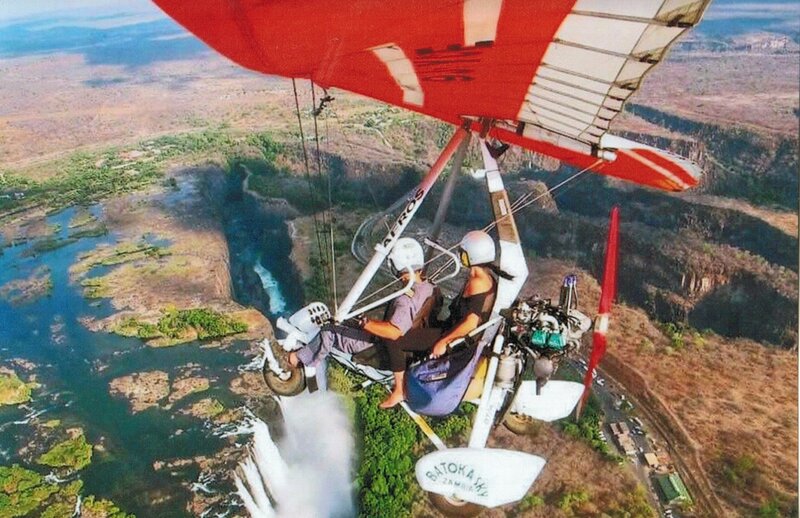 June 25 – Fly USA into VFA (Vic Falls, Zimbabwe) Group air details or doing own air to follow in emailed AFS Trip Tips. Land portion begins. 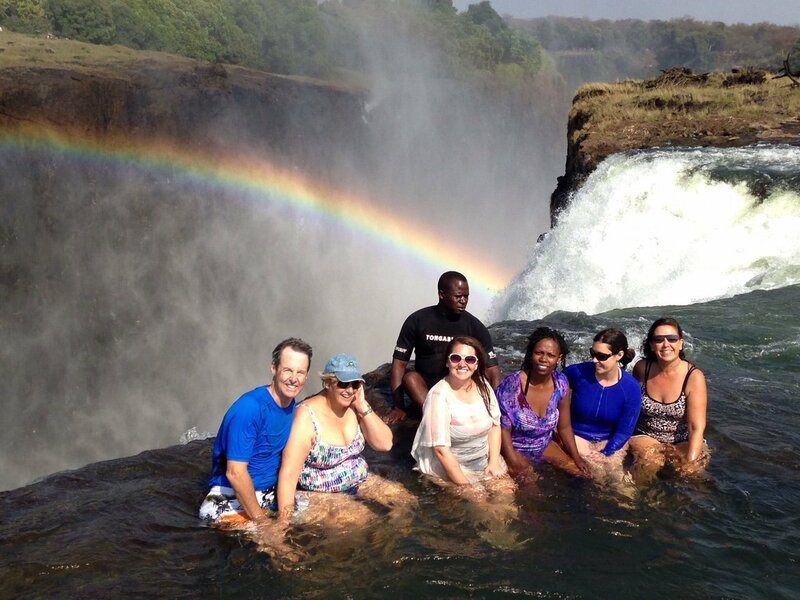 We would like everyone to be at the Victoria Falls airport by 1PM so we can arrange transfers. We’ll go immediately to the amazing Elephant Hills Resort located on the edge of the mighty Zambezi River. 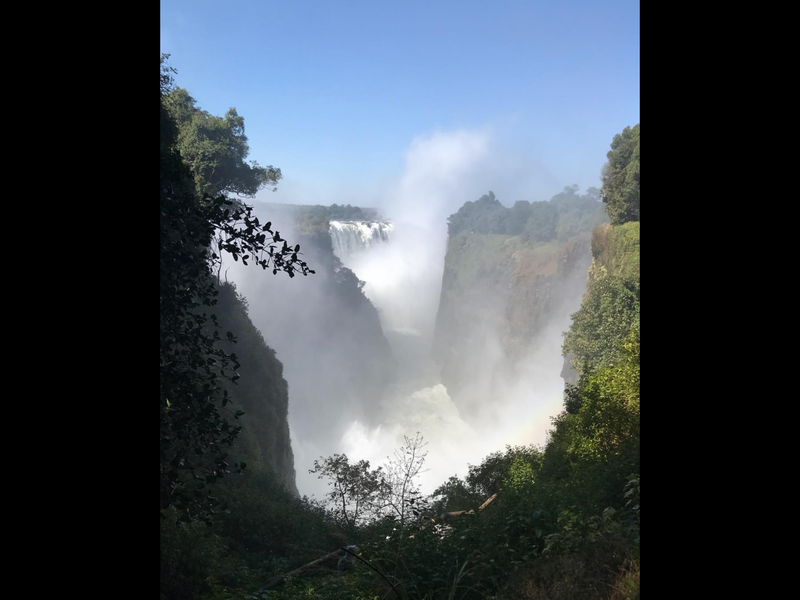 You can see the mist from Victoria Falls from the resort while you enjoy the wildlife that wander the grounds. 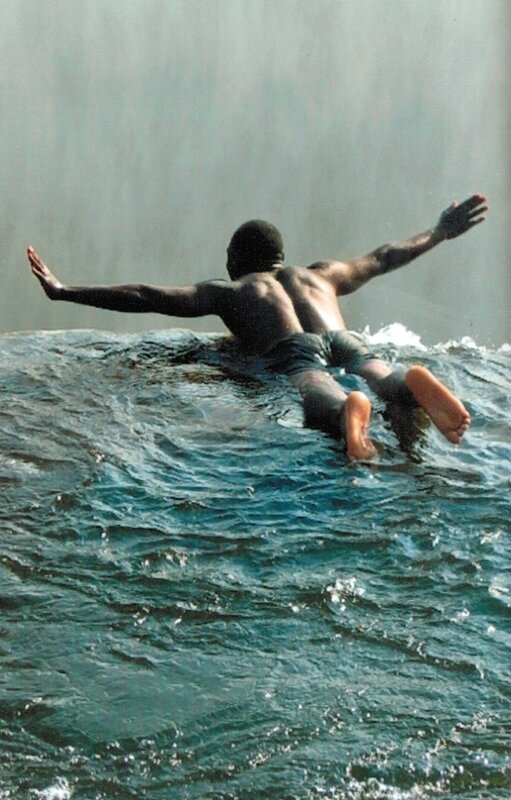 The Zambezi flows between Zimbabwe and Zambia, but Zimbabwe has always been the most popular access point. The force of the water sends a spray up into the air that can be seen from as far as a 19 miles away. Once you are settled in, we will prepare for our special welcome feast at the must-experience Boma Dinner and Drum Show! 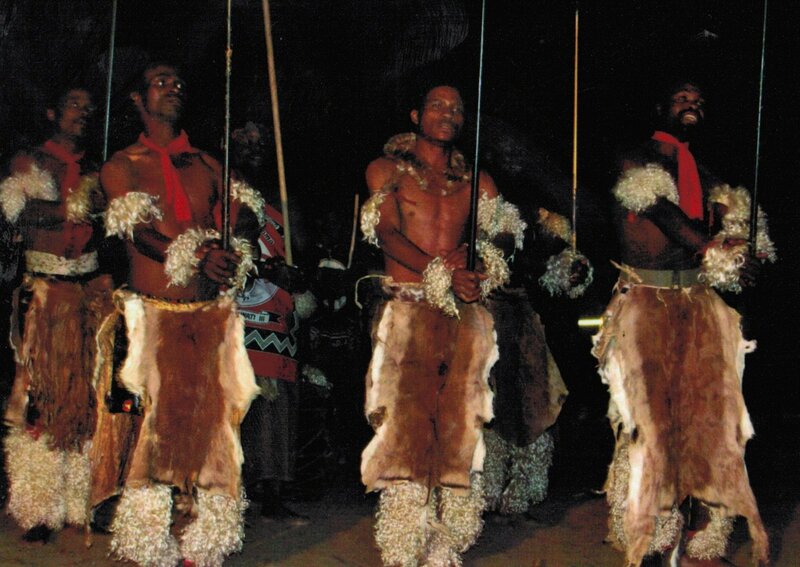 We’ll receive a traditional greeting in the local languages, Shona and Ndebele and then wear ‘chitenges’ – the traditional robes. 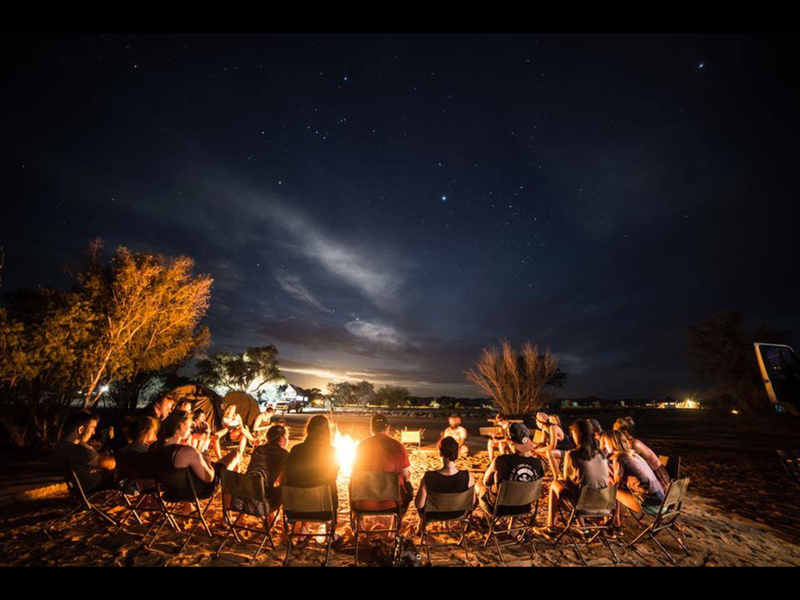 As we dine on local cuisine beneath the magnificent African sky, we will be immersed in the local culture of song and dance by local Amakwezi traditional dancers, a story teller and a witchdoctor. Explore our resort with 18 hole golf course, 3 restaurants, spa, 2 swimming pools, Adventure Booking Center, shops and more. 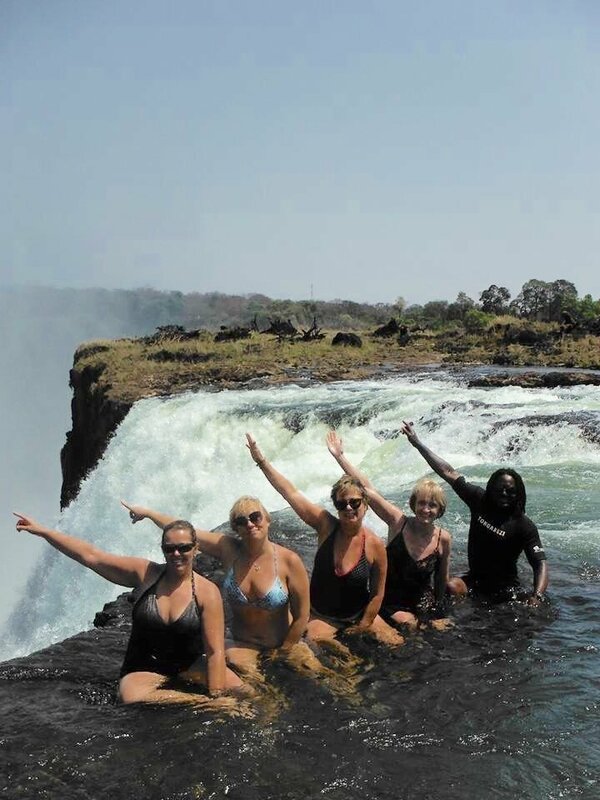 Vic Falls – Now in their 150 millionth Fantastic Year and today you experience it first-hand. 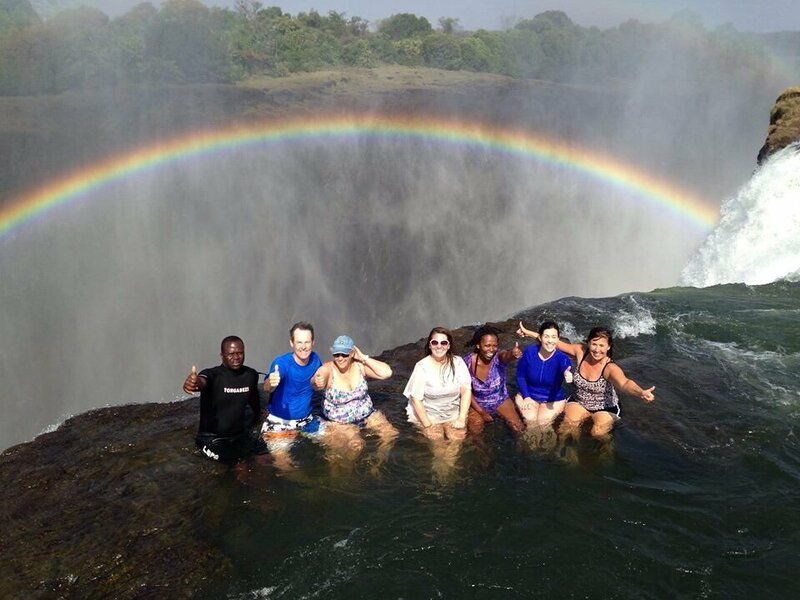 The thunder of the falls from the Zambezi spilling over into Bakota Gorge will leave you awestruck – the sight, the sound, the smell, the humbling feeling that here indeed is Nature’s Supreme Masterpiece. Nothing prepares you for your first sight and your photos can only attempt to capture a sight that comes equipped with feelings that will last a lifetime. 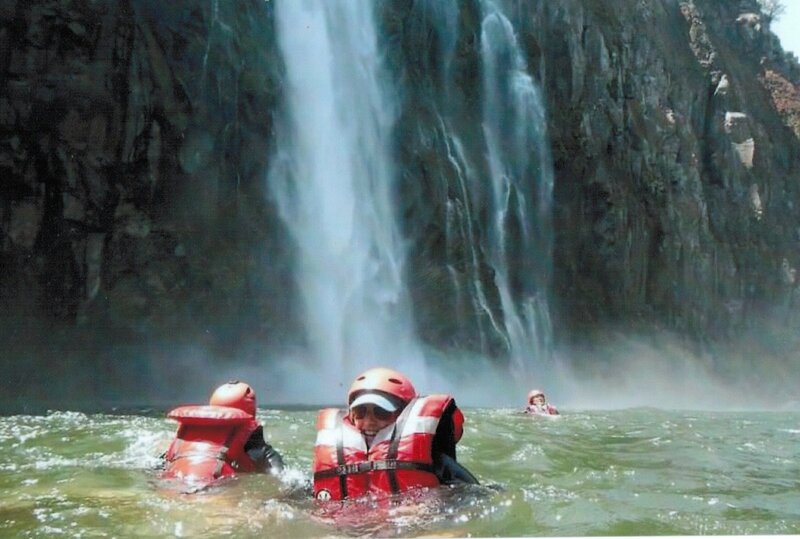 You will be accompanied through the Rainforest by a trained guide who will give a history of the Falls as well as detailing the flora, fauna, bird & wildlife and other points of interest. Raincoats are provided when needed to protect against the spray from the falls. Rainbows are almost guaranteed! 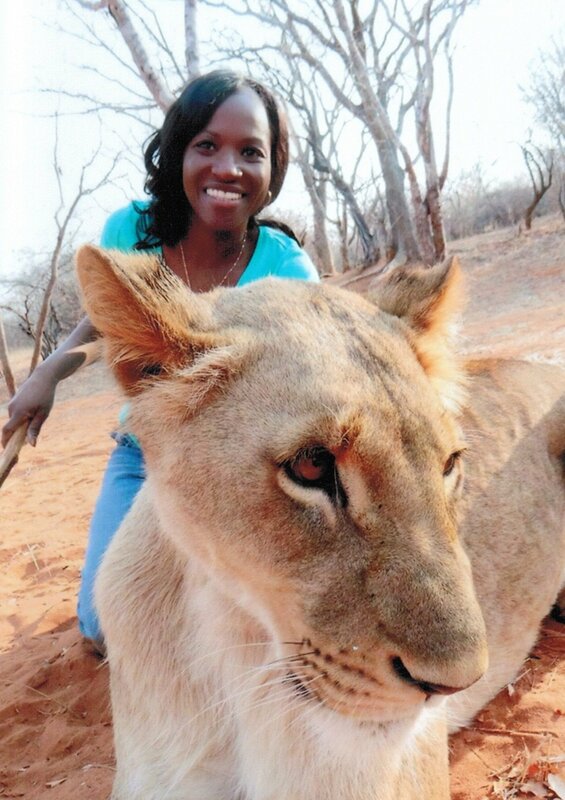 In the afternoon, we’ll visit a traditional Zimbabwean village for a journey back in time. These colorful people will share with us their lifestyle and customs as we witness their primitive living conditions. We’ll also have a chance to browse at the local handicraft market with so much to bargain for. June 28 – Free at Last! After breakfast buffet, the day is at leisure for many choices of optional activities. The choices available are unbelievable. Everything from gorge swing, bungee jumping, paragliding “Flight of Angles”, whitewater rafting, zip lining, visit to an elephant sanctuary, Lion Encounter and more. 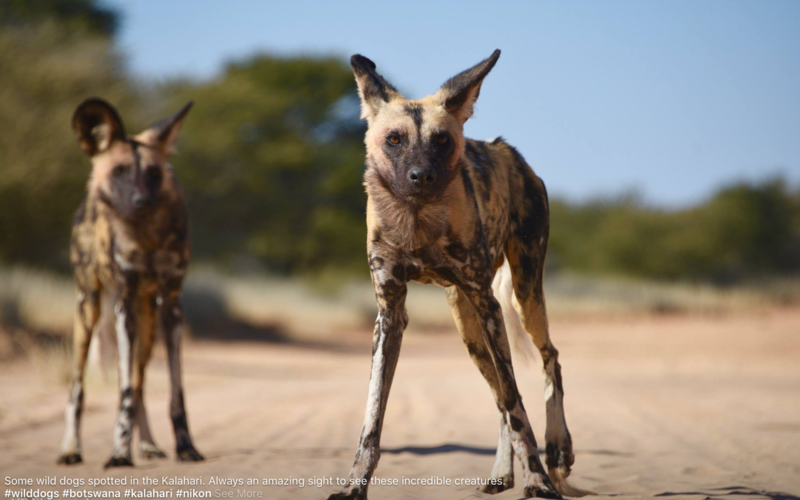 Today, we travel around 5 hours through game areas to the Kasane border and the area known as the Caprivi Strip or “Kalahari Panhandle” extending 400 miles in northern Namibia. 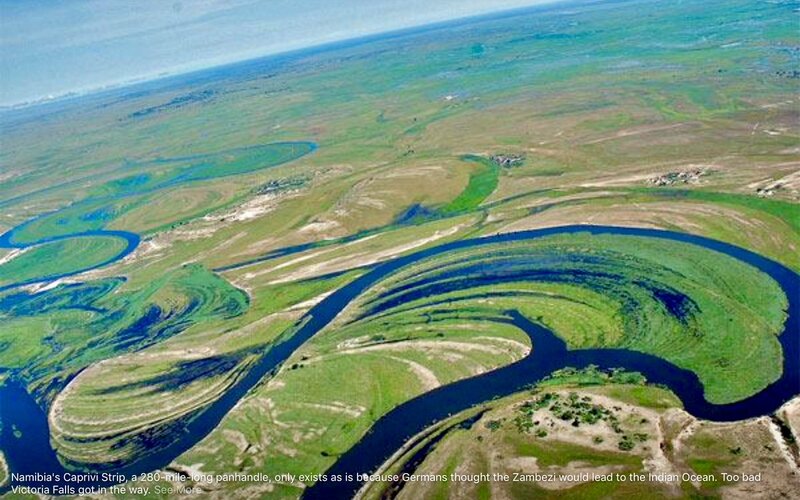 Caprivi is a part of Namibia and is located just the east of Okavango Region, bordered by Zambia, Angola, Botswana. 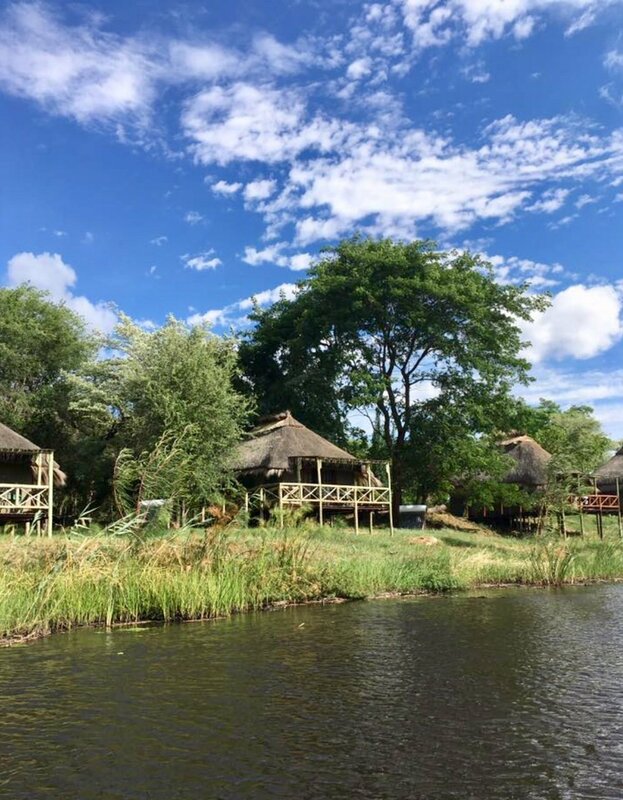 It is bordered by 4 rivers – the Zambezi, Chobe, Kwando and Okavango, so it’s only appropriate that we take to the waters when we arrive at Camp Kwando. Enjoy a two-hour safari cruise on a relaxing journey while exploring this unique region. 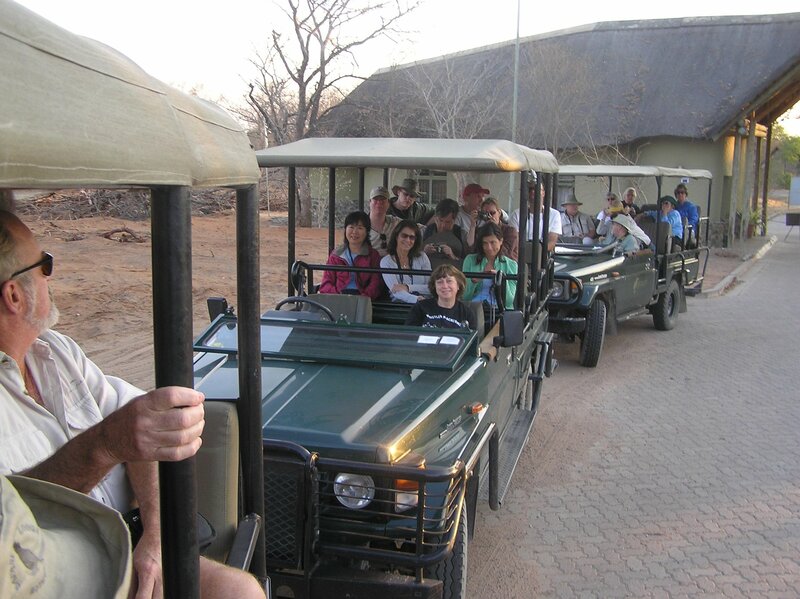 It’s the perfect way to see hippos, elephants, buffaloes, impalas, wild dogs, prolific birdlife and so much more. Our home for the next two nights is a true oasis in the untamed land. 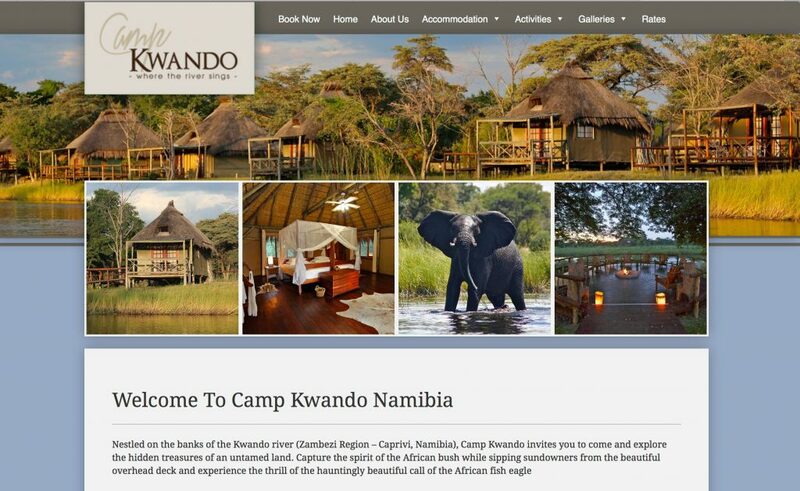 Nestled on the banks of the Kwando river (Zambezi Region), Camp Kwando invites you to come and explore the hidden treasures of the region. Capture the spirit of the African bush while sipping sundowners from the beautiful overhead deck and experience the thrill of the hauntingly beautiful call of the African fish eagle. Our elevated Thatch Roof Tents await on the bank of the river. To call these tents is almost a mistake. These glorious solar powered accommodations have all of the comforts of home with en suite bathrooms and a deck off the back for views. We start our day in the incomparable Mudumu National Park location for TV series, ‘Naked & Afraid’. This park is rich with wildlife that comes to enjoy its abundant waters. With the Kwando River to the west, Mudumu is known for its tranquil lagoons, narrow flowing channels and stupendous riverine forests. Be on the lookout for spotted neck otter, hippo and Nile crocodile which inhabit the waterways. And there is a staggering over 430 species of birds who call this place home – including cranes, storks, ibis and jacana, a fascinating sight to behold, as they race across lily beds on broad webbed feet! 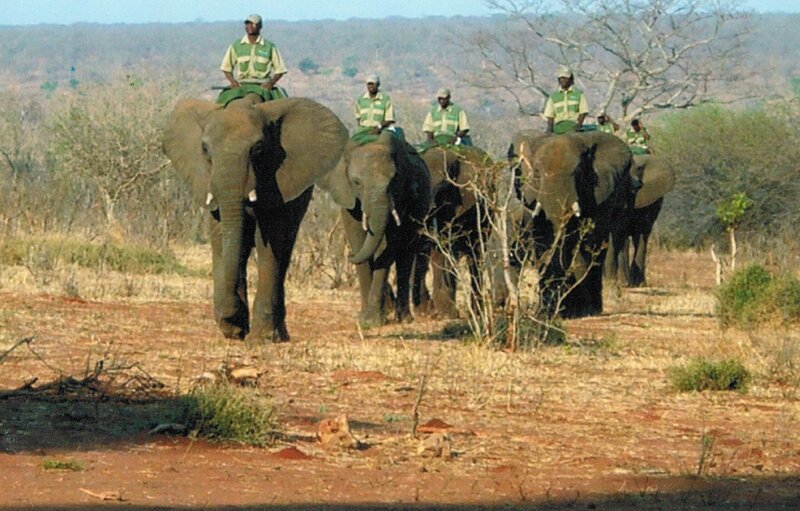 Mudumu also has an impressive expanse of dense savannah and mopane woodland, teaming with wildlife. 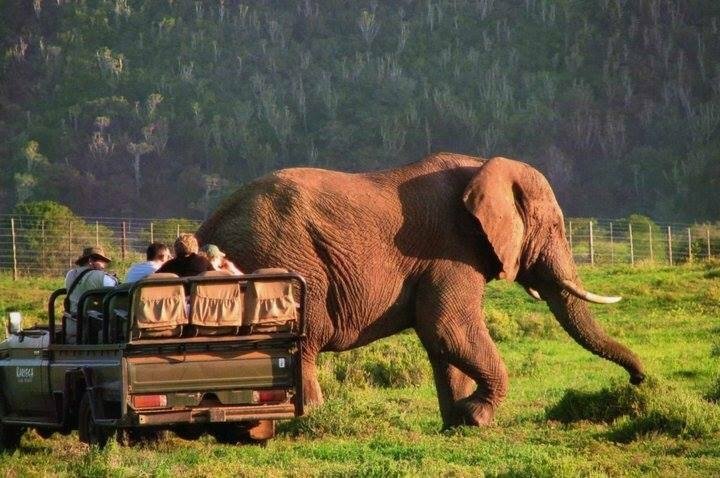 We will encounter elephant, buffalo, roan, sable, kudu, impala, oribi and zebra as you drive through thick forest and over wide floodplains. But keep an eye out for the predators. 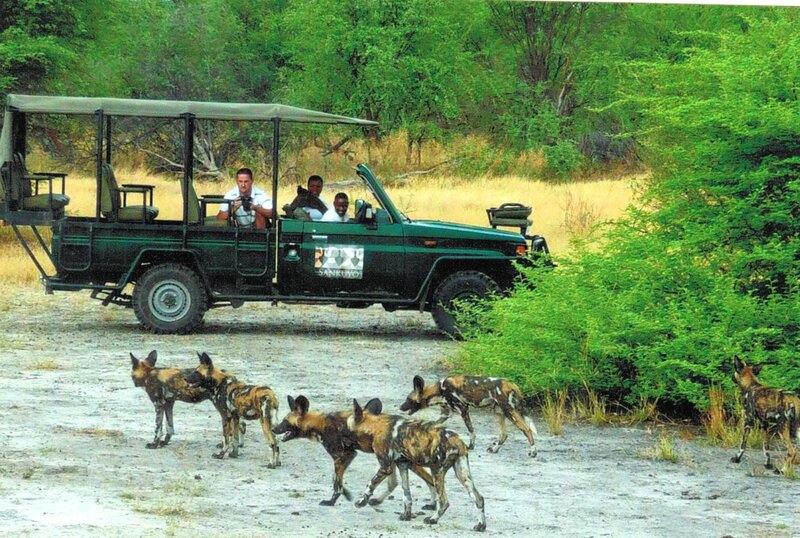 Lion roam, leopard and hyena hunt at night and packs of African wild dog are now raising litters in the park. 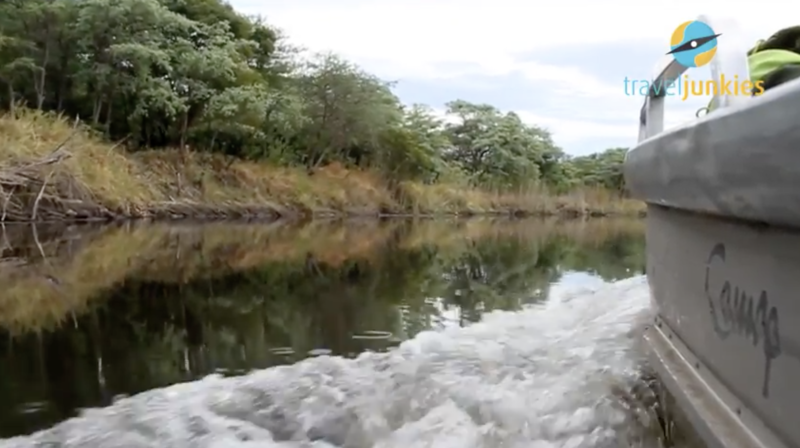 When we return to our camp, enjoy our own waters – the river. Look for with the ripples of turtles and the swirl of the fanged tiger fish. Local fisherman ply their trade from their mokoro’s (dug-out canoes) casting their nets for tilapia. Fall asleep tonight to the unmistakable sounds of frogs croaking and Modumu’s hippos responding with a throaty chuckle. If you are looking for somewhere “off the beaten track” with a true wilderness feel, the Mahango area of the Bwabwata National Park is well worth considering. Located in the northeast of Namibia on the Botswana border, the contrasting vegetation Mahango Game Reserve is widely considered one of Namibia’ s most varied and fascinating conservation areas. There are three distinct habitats that can be identified, the river, which offers a blend of trees, reeds and grasses along its banks and on the wetlands. One tree that you will quickly recognize is the baobab. 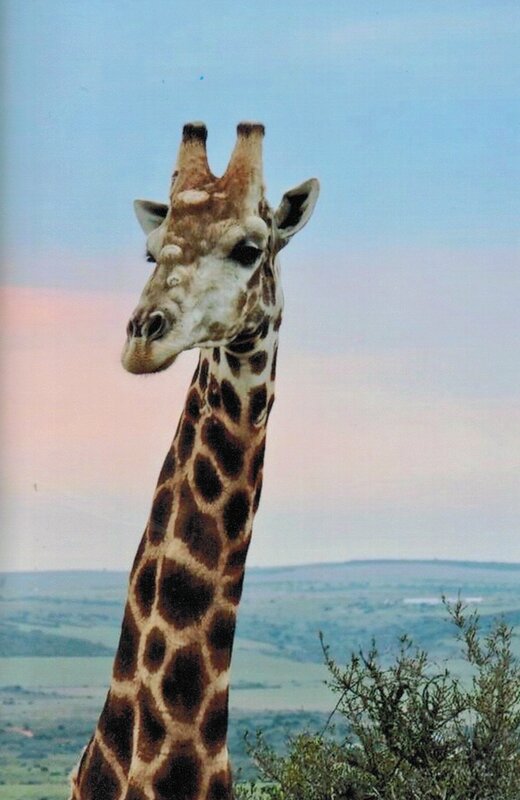 The Omurambas, which are fossil rivers, are covered with open grassland with tall acacia and bushwillow around the borders. Between the Mahango Omuramba in the north and the Thinderevu Omuramba in the south, the vegetation is open dry woodland with some thick patches of Zambezi teak, wild seringa and wild teak. 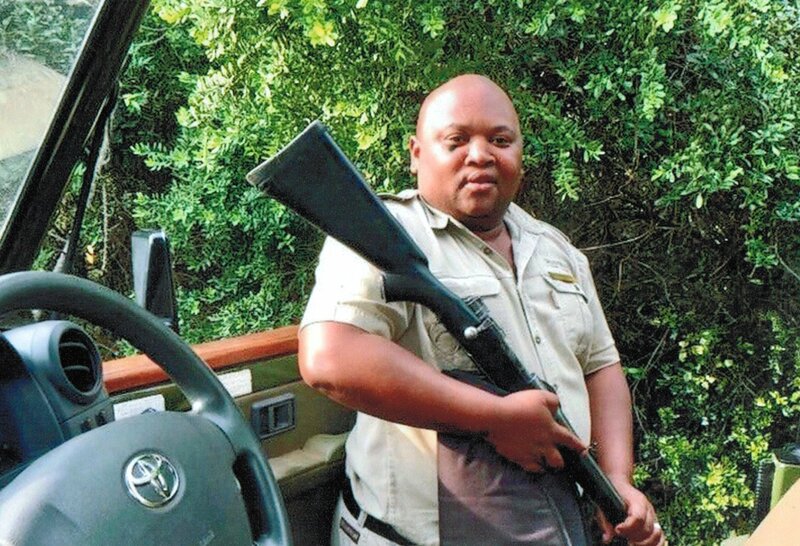 Year round water ensures an abundance of game, however, during the dry winter months, April-November, your chances of seeing game is higher as the animals seek out the river and waterholes. Mahango is home to many antelope, if you are fortunate you may spot; roan, sable, reedbuck, tsessebe, sitatunga, red lechwe, kudu, Chobe bushbuck, Duiker and Steenbok. Apart from antelope, you can expect to see Elephant, Lion, Leopard, Cheetah, Wildog, Hippo, Crocodile, Warthog Baboon and Vervet Monkey.. The large herds of elephant are migrants, moving between Angola and the Okavango Delta, outside the dry season sightings will be fewer. During the wet summer months, November-March, birdlife is prolific. After it rains various trees flower and bear fruit attracting an abundance of insects and creating a birding paradise. Over 400 bird species have been recorded in the Mahango Reserve. 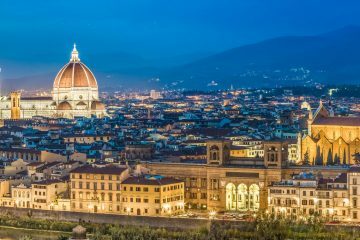 Unguided walking is permitted, but there are dangers, for the ultimate experience you may decide to employ the services of a knowledgeable local guide who is familiar with the region. Before we head out in the morning, we have the opportunity for an optional visit to a Namibian village. Just next door to Camp Kwando where the villagers have created a home where they can present you with various fishing and hunting techniques, as well as their traditions on their everyday life. 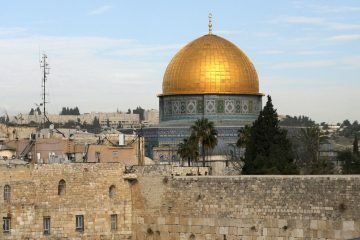 Most of it has been protected for centuries. 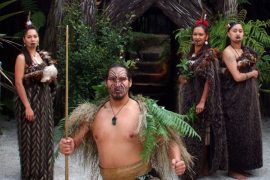 The Medicine Man of the village will show you how different dances were used against various illnesses. 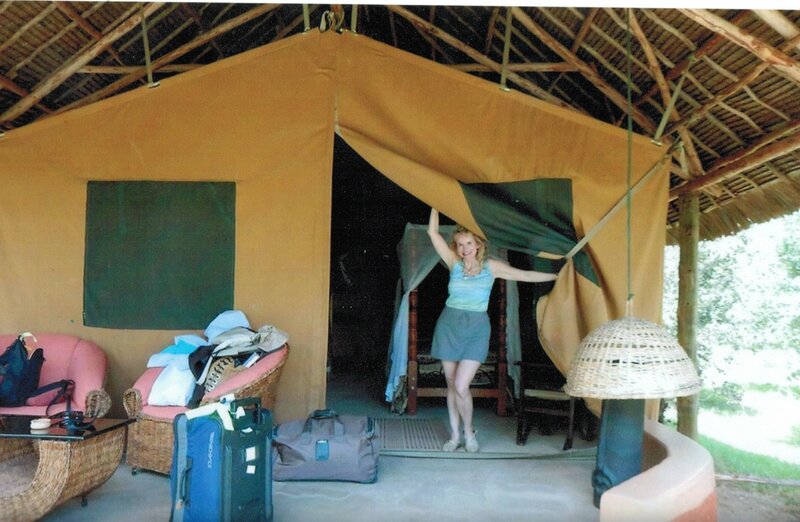 We’ll then travel about 4 hours to our next home, Botswana! You’ll love Mowana Safari Lodge and Spa on the Chobe River. Completely refurbished, the resort has gorgeous grounds overlooking the river and includes two restaurants and an Olympic sized pool. 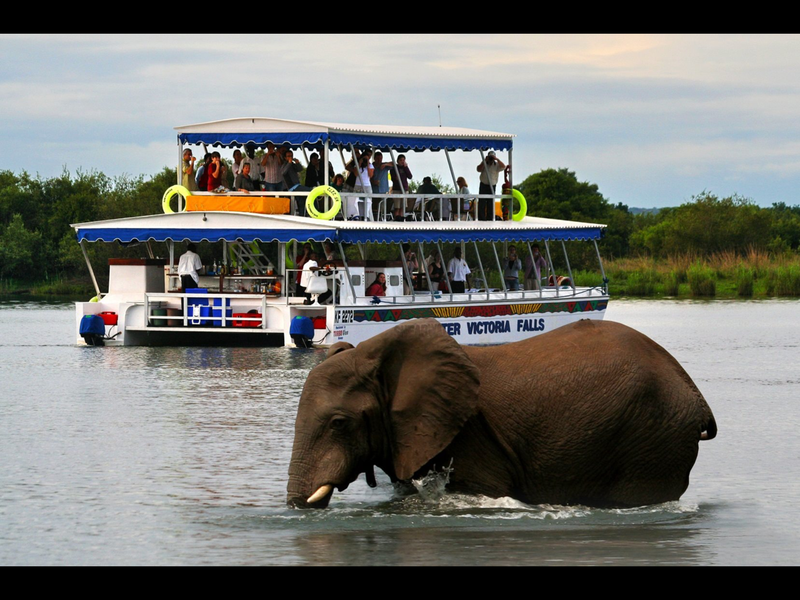 Start the day with a boat cruise on the Chobe and witness the abundance of animals which come to its shores. 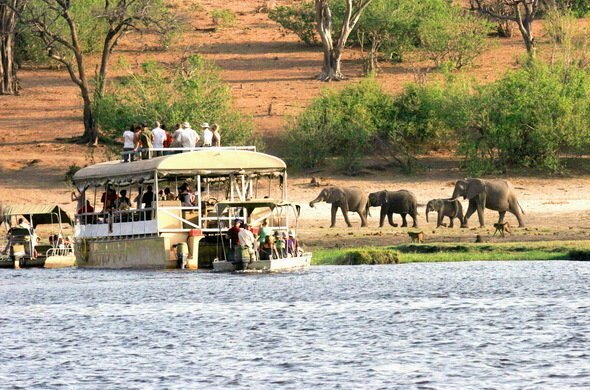 Along with many species of big game, Chobe National Park is affectionately known as “The land of the Giants” boasting countless elephant. 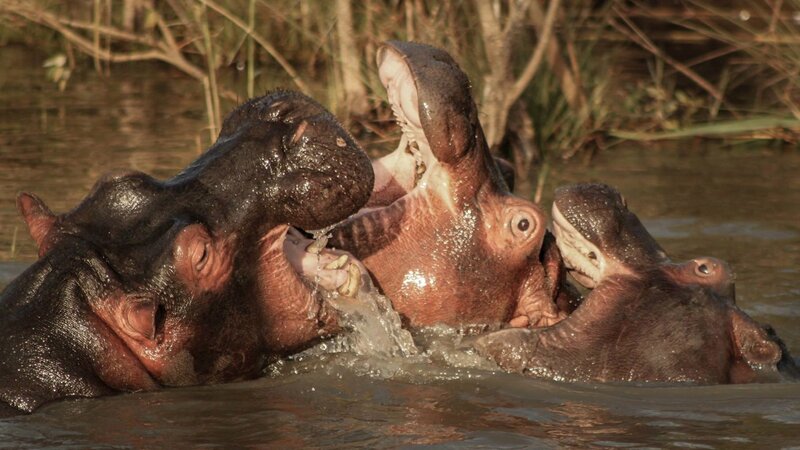 It’s the largest concentration in Africa and no doubt we will see scores of these gentle giants as they come down to the river to play, mate, drink and bathe. Also, many hippo pods, crocs and even giraffe on shore. We take to the land in the afternoon for a Game Drive through Chobe National Park in our 4×4 vehicles on the hunt for the King of the Jungle -the lion. 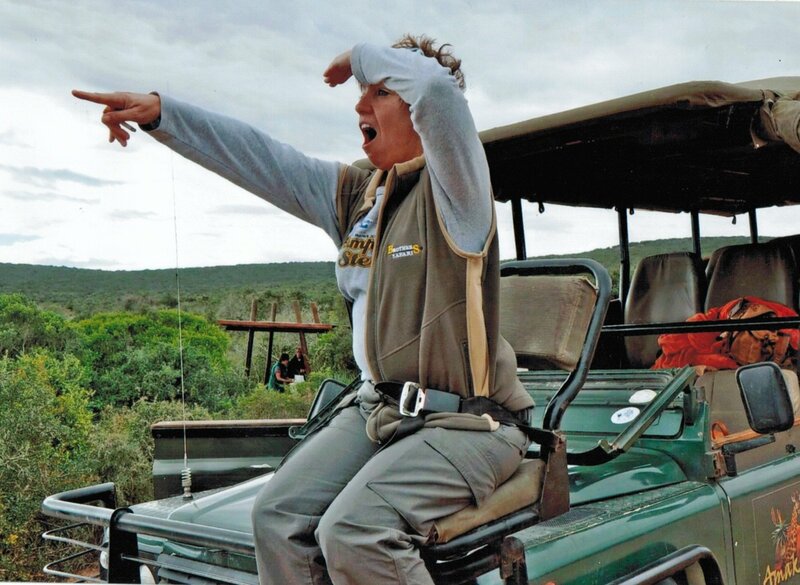 This game drive is especially famed for its lion sightings. But also keep your eyes peeled for monkeys, the rare red lechwe, puku and sitatunga antelopes as well as to most big game species associated with a classic African safari. All cats and predators chase prey at dusk. 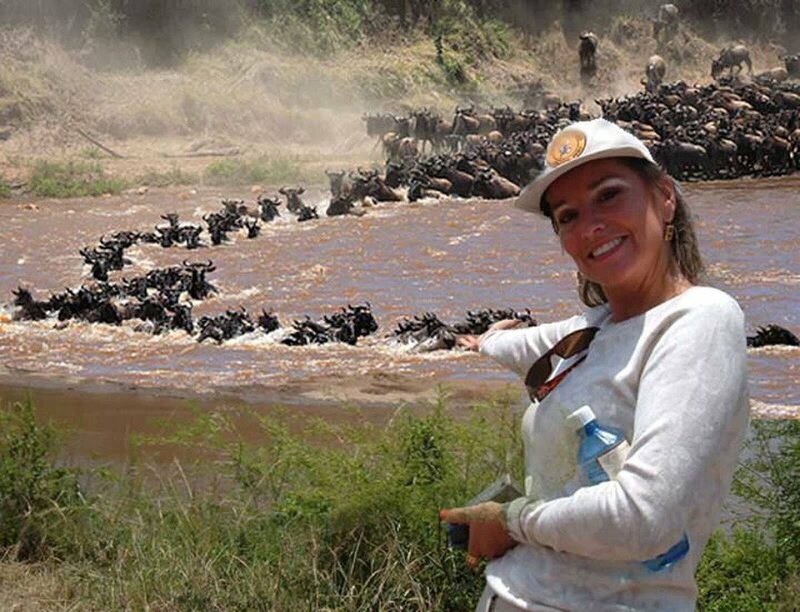 Early morning safaris are thrilling with abundant animals. 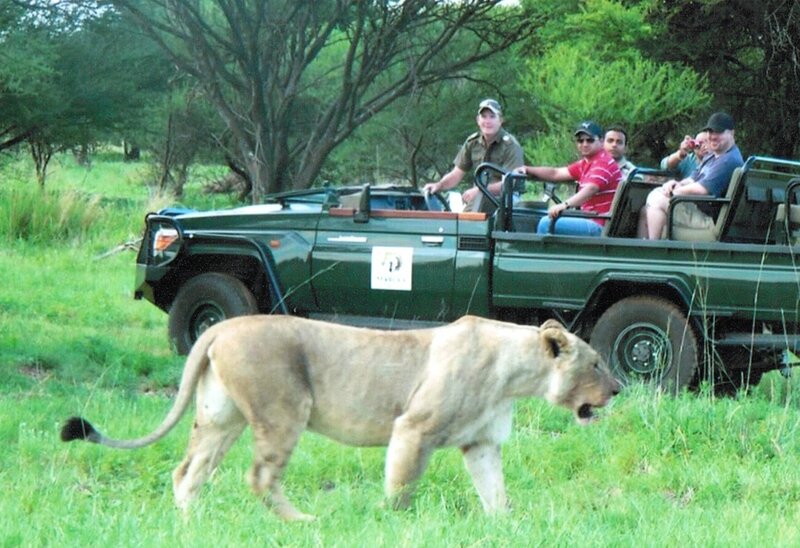 We’ll start the day with another Game Drive through this amazing park to rack up seeing more numbers of the abundant species of wildlife you will see here. If you didn’t get that perfect picture before – here is another opportunity. You’ll have some free time in the afternoon to enjoy the resort or venture into the town of Kasane. 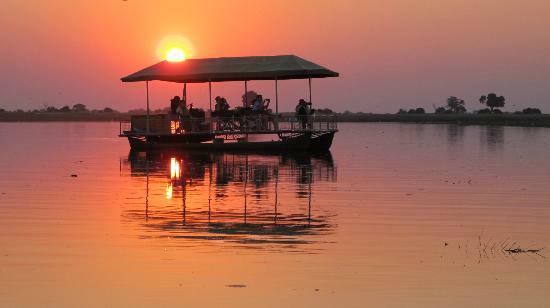 Our evening includes another Chobe River Sunset Cruise. 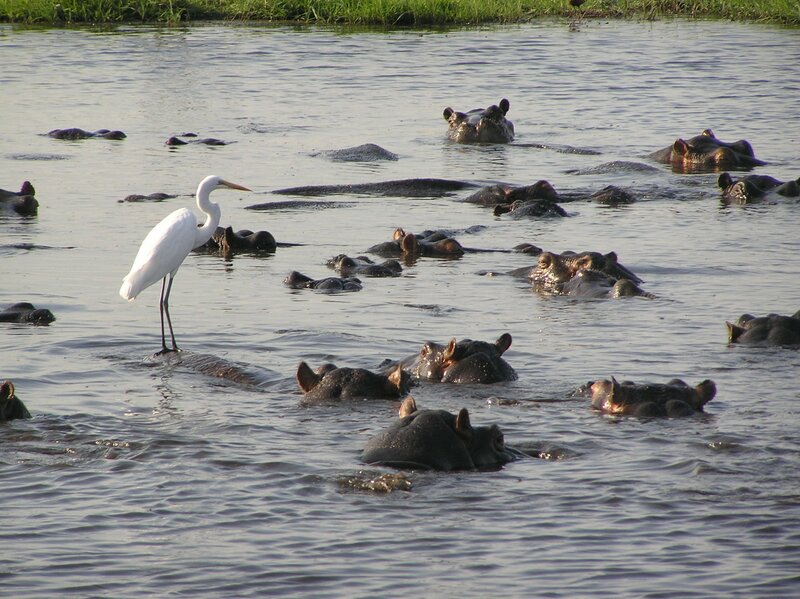 We’ll have the unforgettable experience of witnessing the more wildlife on the banks of the Chobe National Park. Relax with a cocktail as the Sun sinks into the Chobe River. This small groups of only 26 each may sell out in a day, so Book Now! It’s our only Africa trip for 2019. Includes: All services, tours and meals stated above. Expert rangers, guides and AFS GTL, upscale accommodations, national park fees. 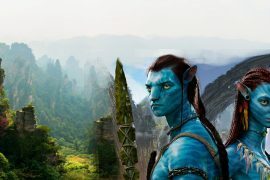 Air – See Trip Tips for all details! Those not flying out of Kasane, will need transfer back to VF $55. A second $500 deposit is now in effect as of Feb 24. 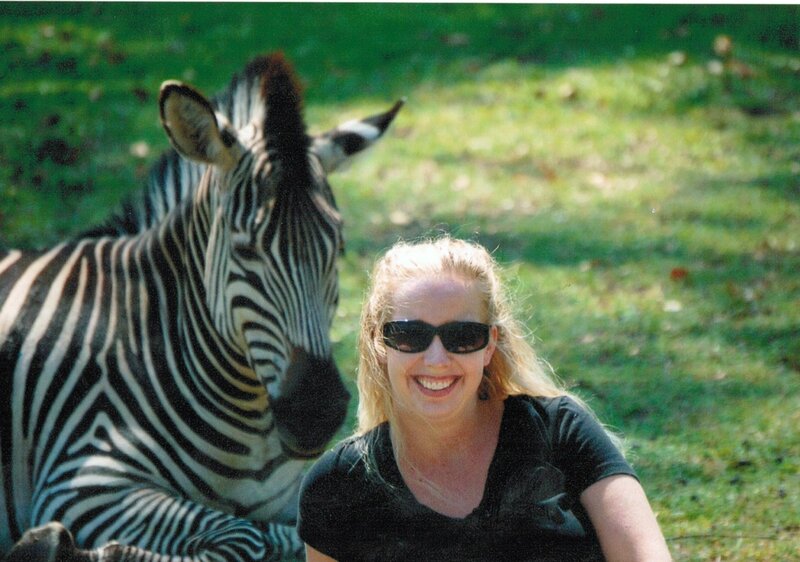 Final balance due Mar 24 preferably by check to Adventures For Solo Travelers, 1907 Daniel Green Ct., Smyrna GA 30080. (Credit card final payments incur a $60 processing fee.) You may check your balance due at any time on your profile after login. Reminder emails will always be sent.